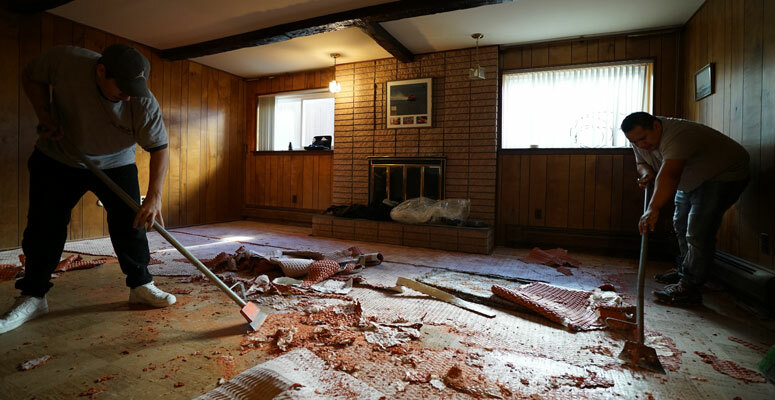 Carpet Guys > Blog > Before and After: $5,000 Contest Winner! Before and After: $5,000 Contest Winner! 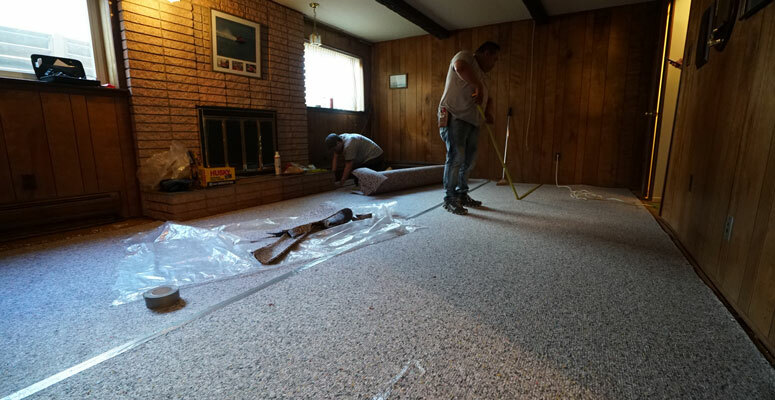 Yesterday, we had the privilege to install new carpet for Darcy in Trenton, Michigan. Darcy is our recent $5,000 dollar contest winner and she allowed us to take photos of her project, so we decided to show it to you all! 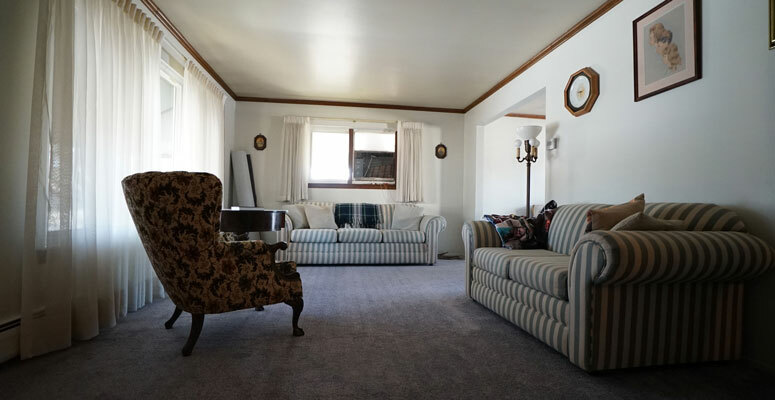 Darcy’s home was built in the late 60s or early 70s and was initially covered in a cream white carpet. Darcy came across the carpet “Spellbound” by Shaw Floors during a showroom visitation and immediately knew that was the carpet for her. Spellbound is a beautiful and comfortable blue-gray plush carpeting. Shaw really outdid themselves with this one, but we will let this living room photo do the talking. Darcy’s project was a big one and came with a few challenges that our guys didn’t expect. 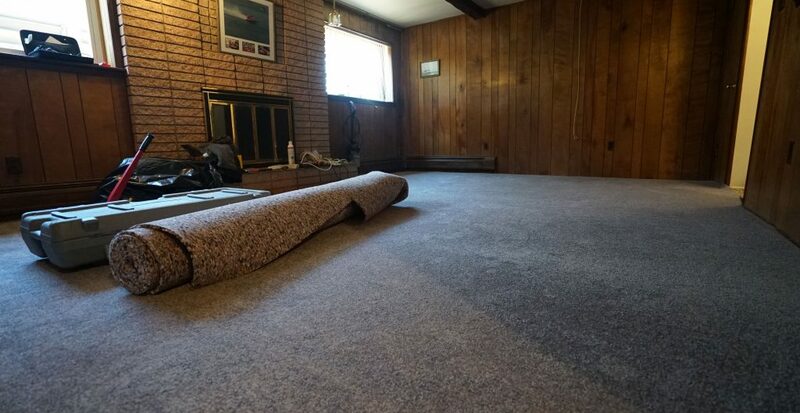 Over time, the old carpet and the padding underneath started to wear out and fall apart. A prime example is the padding we found below the carpeting in the den. The original rubber waffle padding that was installed underneath the old carpet became extremely sticky and needed to be scraped off. As the room went through multiple temperature fluctuations, the padding turned into an adhesive rather than a cushion. With a lot of elbow grease and determination, our guys were able to get all of the padding off the tile underneath. After we scraped all the rubber waffle pad off, the new padding was rolled out. The padding we use is a premium eight-pound pad. 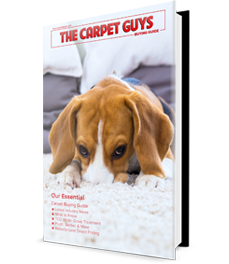 This is recommended by all manufacturers to ensure a lasting life for your carpet. Once the padding was out, we rolled out the carpet and put it in place. 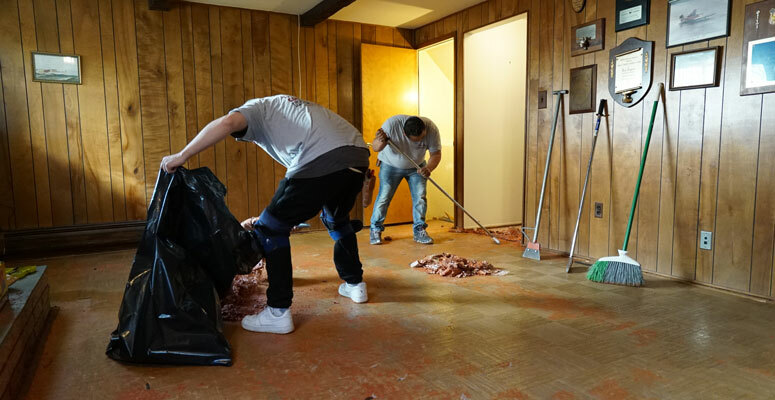 Immediately after the new carpet install, the room felt so much bigger and comfortable. It took two days to complete the project, and Darcy’s house has now been transformed. Spellbound looks fantastic in her home, and we are excited that she’ll be enjoying her new carpeting for years to come.